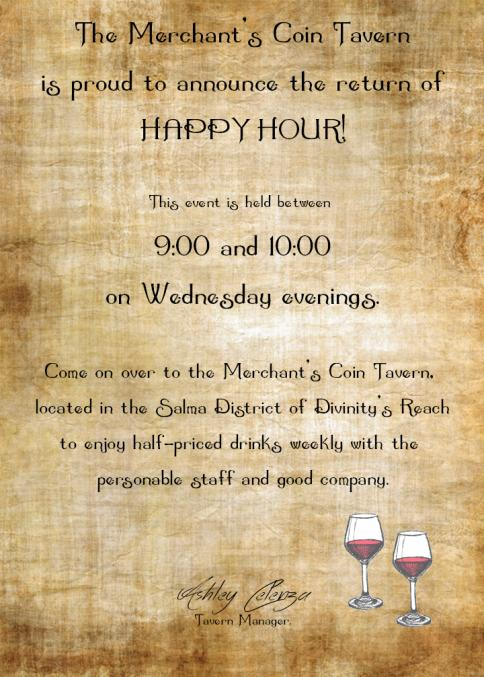 [GANG] The Merchant Coin's Happy Hour! Forums » EU Events » [GANG] The Merchant Coin's Happy Hour! Various Posters would start appearing around the notices boards within the Reach... Advertising a certain Tavern within the Salma district. OOC Information: The Tavern itself is based in the Uninstanced Salma district, and the times will be from **8pm-9pm** GMT (UK time.) We do aim to have this event on a weekly basis. Hope to see you there! Thanks for reading. First event will start on Wednesday 21st of June! Just a reminder: First Happy Hour event happens today! We're filling up already. 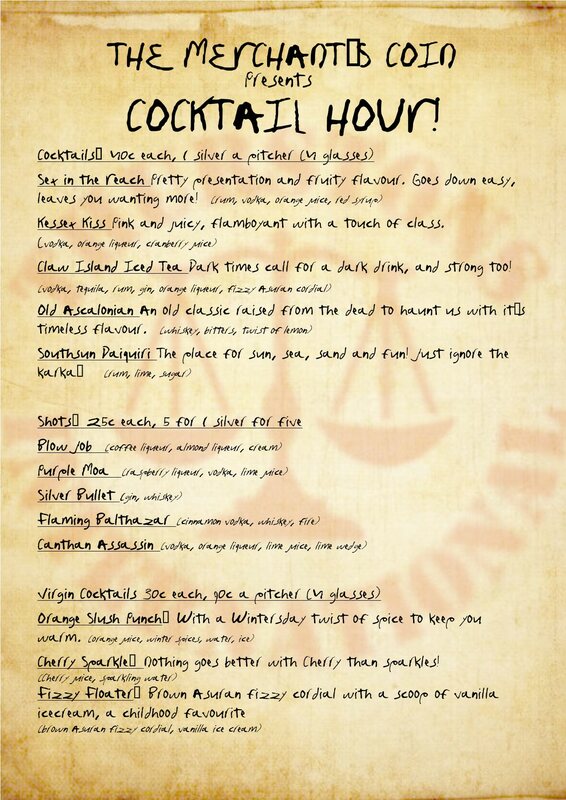 Half priced drinks starting very soon! Event seems like it was a SUPER SUCCESS, so I can't wait to see what happens next time! It definitely was, Kanin! Can't wait to do it all again next week! Jon Cullis ~ Bard and a happy drunk. The Madusan Mountaineers ~ Fighting for Queen and Country! The Tyrian Tease ~ We aim to Tease. This event will be running again tonight. 9pm-10pm GMT! This will be running tonight. Menu to be added later today!